The sixth game of the 2011 World Series between the St. Louis Cardinals and the Texas Rangers will go down in history as perhaps the single greatest World Series game ever played. By now, we are all aware of the Rangers' late (and extra inning) collapse and the Cardinals' unbelievable and incredible comeback. Twice the Cardinals were one strike away from elimination and the end of what was a miraculous run to and through the playoffs. Twice the Rangers were one strike away from greatness and their place in baseball history with their first World Series title. 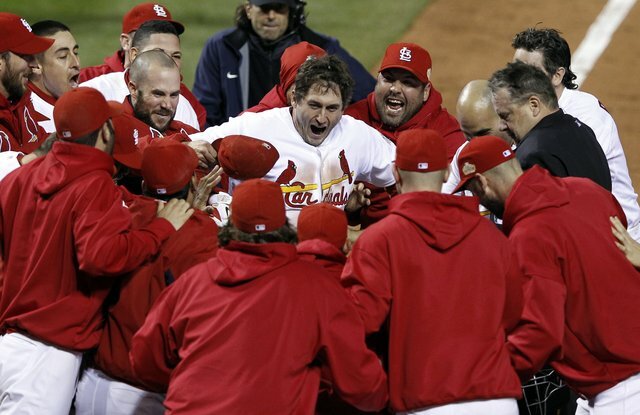 And one man named David Freese, a local St. Louis area guy, found himself on center stage and in a place where he would either be remembered as the final out or the one who enabled his team to fight another day. We all know the outcome. Freese delivered and thrust himself into the history books with a game tying triple in the bottom of the 9th inning and then hitting the game winning homerun in the bottom of the 11th inning. His role in the Cardinals' comeback was pivotal in what would result in the Rangers' collapse and it was all in lockstep with his team's never give up, never quit attitude. Despite the obstacles in front of them or the adversity they faced, they never gave up. It's a lesson for all of us, that no matter what happens to you, you cannot quit. No matter how dire the circumstances, you cannot give up. Even if you lose or come up short, it is not the end. You have to fight on. Especially when it comes to building, managing, rebuilding or repairing one's reputation. Athletes and public figures (everyone for that matter) should take a similar approach when it comes to managing their reputations. Too often, the carelessness of self-inflicted wounds caused by careless comments or stupid actions, quickly lead to the demise or sullying of one's reputation. The results can be devastating as millions in endorsements, sponsorships and contract renewals are at risk for loss, as well as one's future in their chosen sport or high profile profession. Sadly, many of these career-changing moments occur or are influenced by an athlete's actions off the field—actions that are easily controlled. 1. Always Be Prepared. Understand the importance of your reputation and protect it by having a good team of strategic advisors in place (i.e., PR, agent, lawyer, etc.) to help build your brand strategy well in advance and stay aligned with that strategy as you move through your career. 2. Build your "bank of goodwill" from the outset. This will help you as you build your name both on and off the field. 3. Understand the importance of your words and actions. Be consistent in how you govern yourself in all situations. Always think before you speak and act, and understand that your actions and words are subject to interpretation (especially in a digital universe) and may not be received the way they were intended. In other words, don't say things to "get them off your chest" in the media and don't allow Twitter to be a 140-character shotgun blast to the head of your reputation. 4. If you do mess up, realize that it's not the end of the world (although depending on the circumstances, the damage may be significant). Understand that the process of reputation recovery and getting on the road to reputation redemption will take time. 5. Recognize that should you fall from grace, you will have opportunities to rebuild your name, reputation and image—in time. You may not experience a return to prominence or have everyone believe in you once again, but you can regain some of what you had or at worst, start over. 6. Look at your initial strategy and revise accordingly, and if you didn’t have a plan in place from the outset, it’s time to develop one. 7. Don't give up. Again, at some point you will have the opportunity to rebuild and redeem yourself. What is most important is how you respond to adversity and the plan you put in place to work through reputation recovery and redemption. Can you comeback from reputation collapse? Yes. Josh Hamilton of the Texas Rangers hit rock bottom years ago and a man who was once baseball's top prospect found himself outside the sport and on the fringe of society. He has bounced all the way back to the top from battling the demons of drug addiction and the pain of tragic loss in his life. He has been a standout player for the Rangers. In that same incredible World Series Game 6, he hit a home run to put his team ahead in the 10th inning and get them one step closer to winning before ultimately being outdone by Freese's walk-off homerun. Hamilton turned his collapse into comeback. The Philadelphia Eagles' Michael Vick has seen the highs and lows and suffered the consequences of his off-the-field actions. He went to federal prison for his offenses. But he has since stayed on the difficult, slow and steady path of rebuilding. Although not everyone is going to forgive him, he has been fortunate enough to have a team take a chance on him and he maximized the opportunity—both on and off the field. He is rebuilding. He is turning his collapse into comeback. 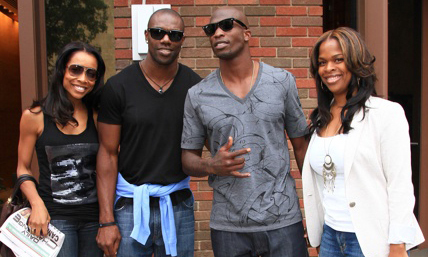 NFL wide receiver Terrell Owens has proven that being a polarizing figure on and off the field can and will damage your career opportunities. Owens should be sitting in a Michael Jordan-esque position of having fans across the country excited to see him play and get a chance to see one of the game's best perform his craft. He should be in the twilight of what should otherwise be a surefire Hall of Fame career. Instead, the 37-year-old wide receiver now finds himself without a job or team to play for, and holding an open audition for teams to see what he can do—all on a high school field in Southern California with no teams showing up for the show. I guess they weren't interested in getting their popcorn ready for the latest installment of the T.O. saga. Collapse into comeback? The jury is still out. Not impossible though. Like Game 6, you are going to experience highs and lows in your career. Make sure you are prepared. If it should take a turn for the worse, believe you can recover. And like the 2011 Cardinals, don't give up. Another NHL Enforcer Found Dead. 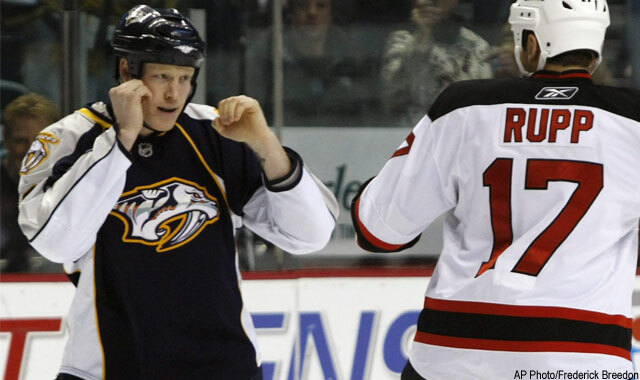 Fifteen-year NHL defenseman and pugilist Wade Belak, who spent his career with the Colorado Avalanche, Calgary Flames, Toronto Maple Leafs, Florida Panthers and recently retired as a Nashville Predator, was found dead on August 31 at the age of 35. Reports indicate that it was a suicide. Belak joins other deceased NHL enforcers Rick Rypien (depression) and Derek Boogaard (pill addiction). Belak, who retired in March, didn't show any signs of similar afflictions. 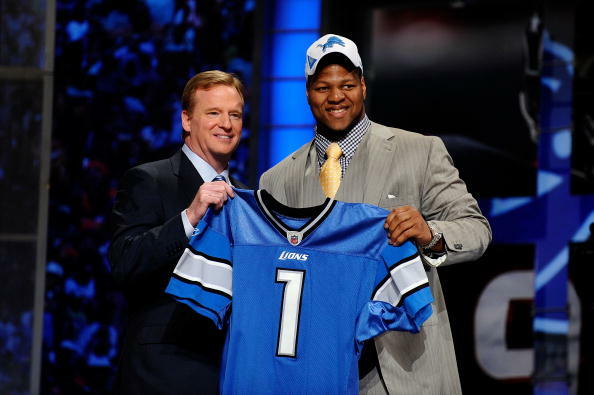 In fact, he seemed to be transitioning well from the life of a professional athlete. He had secured a media role with the Predators and was to appear on Battle of the Blades, a Canadian television reality-show partnering former professional hockey players and figure skaters in competition. Former NHL enforcer and current ESPN broadcaster Matthew Barnaby commented on Twitter, “Nhlpa should do better job of preparing to enter league- and departing it! FACT.“ These deaths are raising questions about the NHL and NHLPA programs aimed at reaching out to active and former players. "With what's transpired in the last few months, with the guys that we've lost, it makes us open up our eyes and look at programs and know that once guys are done playing hockey we just don't kick them to the curb," said former NHL player Nick Kypreos in a sportsnet.ca column. “We've got to come closer to the current players and the people who run the league and say: 'Once you're in this fraternity, you're in it for life.'" Former NHL enforcer Tyson Nash also Tweeted, "Ur entire life is dedicated to hockey and then one day it's all over and ur kicked to the curb! And the NHLPA does nothing to prepare u." Will Renardo Sidney Take Advantage of His Second Chance? Renardo Sidney appears to be back on track thanks to a second chance. His team and coaching staff have accepted the past incidents and are moving forward. Sidney was ruled ineligible for his entire freshman year and part of this season due to NCAA infractions. 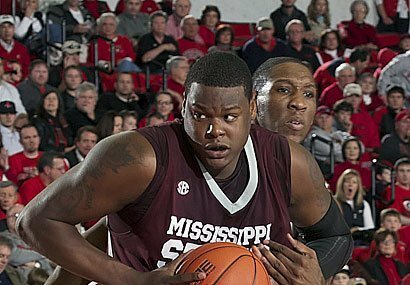 In his sophomore season, he has missed 12 of the 25 games Mississippi State has played this year. Following his two-game suspension in late December after a highly-publicized brawl with teammate Elgin Bailey in the stands of a tournament in Honolulu, the 6-foot-10, 275-pound big man has been averaging 12.9 PPG and a team-leading 7.4 RPG for the Bulldogs. Throughout the years, we have witnessed numerous high profile athletes, coaches and spokespersons inevitably stick their foot in “it” by making the decision to “tell it like it is,” “speak their mind,” or “get it off their chest,” in front of the media. Given one of the cornerstones of our business is media training, we obviously do not advise our clients to just “let it rip” while the cameras are rolling. And as we mentioned in Melinda Travis’ post on the subject (Media Training Defined – What It Is and What It Isn’t), comprehensive media training is far more than learning just the do’s and don’ts of the interview process. It is understanding the role the athlete/coach/spokesperson plays in the process and their ability to influence how their brand is perceived. One of the important ways to influence that perception is to effectively manage the message. Reputation Management in the Digital Age: What Will You Be Remembered For? The digital age clearly provides tremendous opportunity for growth on all levels. But, it also has created a certain “reality TV meets the Internet” type of world, and those in the spotlight should be aware of the long-term effects. For athletes, it will most certainly impact their legacy and ultimately, how we will remember them. Eileen Wisnewski, a fellow contributor at Access Athletes, makes several great points in her article “Image Strategy for Celebrity Athletes – What About YOUR Image?” She poses the question to college students and recent grads and asks if they have thought about how they are presenting themselves in the public space. Eileen’s piece, combined with the recent passing last month of the late Giants’ baseball great, Bobby Thompson, gave me reason to pause and think about how today’s athletes will be remembered.